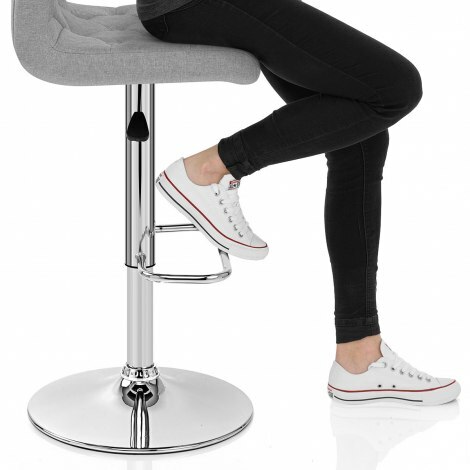 Crafted with contemporary style and quality comfort in mind, the Seattle Gas Lift Stool Grey Fabric is a remarkable model. Boasting an abundance of charisma, the Seattle has an alluring modern design that will be the centrepiece of your bar area. 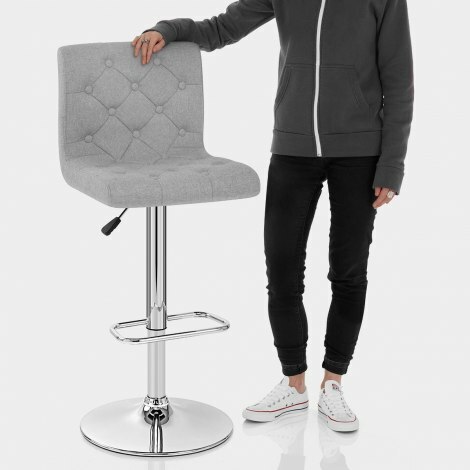 Copiously padded throughout, the grey fabric seat includes buttons and stitching for exclusive detail. Meanwhile a comfortable high backrest ensures you are supported. Beneath the seat is a polished chrome frame, comprised of a central column, rectangular footrest, and round base. 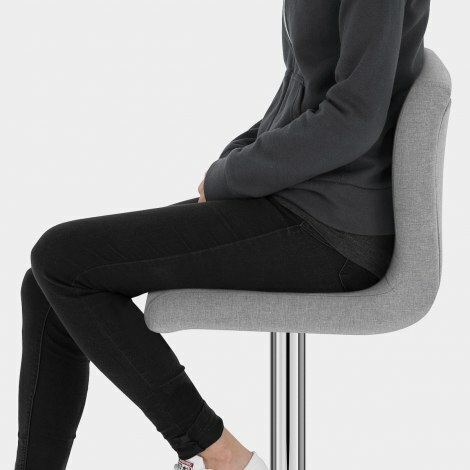 The frame hosts a variable height gas lift mechanism and also allows the seat to turn through 360-degrees. Finally, floor protection comes with the inclusion of a rubber guard beneath the base. "The chairs were beautiful and really fit well"
The chairs were beautiful and really fit well in my kitchen. Needed two new breakfast bar stool as my wife & I are now both over 70! Easy to assemble - even for me. So far so good, and await their durability over the years to come.